Companies that provide garage door service repair may come a dime a dozen, but they likely to not specialize in this labor and it’s simple a task among many other services they perform. So when a complicated problem arises calling one of these companies is likely to waste your time because they simply won’t have an accurate solution after having looked at your garage for different ways of repairing it. That’s why it’s so important to use a service that understands every aspect of garage door repair and replacement. Our expert team has been providing customers in Aurora, Co with successful garage door service for many years and we can offer the same benefits of service to you. When you’re seeking time saving repairs as well as fair and affordable replacement that is conducted at a time that is convenient for you, give us a call. 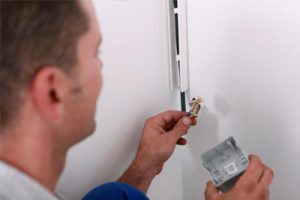 Repair My Garage Door specializes in this area of repair and this is to your advantage because we have worked on countless garage doors with a variety of repair problems. Your garage door is a valuable asset that serves as great curb appeal when it’s in good condition and as a meaure of security and protection of your vehicle and personal belongings stored in your garage. Our services save you time, money and provide a warranty for products and services.